Morgan Duncan holds a BFA from Howard University. He has appeared regionally at the Arena Stage in Washington, DC, the Guthrie Theatre in Minneapolis, MN and the Oregon Shakespeare Festival in Ashland, OR. He has served as a company member of the Washington Stage Guild and on the faculty of the Round House Theatre School. 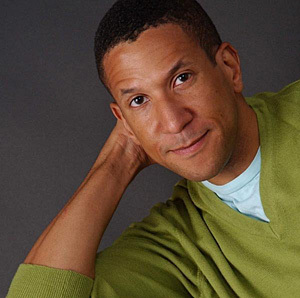 In recent years, Morgan has been a company regular with The Capitol Steps, performing countless political satire roles including numerous stints as Barack Obama. Morgan first performed in a Christmas Revels in 1992 as the “Star Fool” in our initial production of “The Celestial Fools,” a role he reprised in 1999. In between he was “the Dragon” in the mummers’ play of our 1994 Victorian English production. In both 2001 and again in 2009, Morgan played the lead role of “The Doge of Venice” – first among equals in terms of the rulers of the Italian city-states – in our Italian Renaissance Christmas Revels.